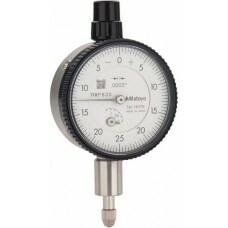 103-262 Mitutoyo Outside Micrometer with Ratchet Stop 1-2"
The 103-262 Mitutoyo Outside Micrometer with Ratchet Stop 1-2" is on sale at Gaging.com! 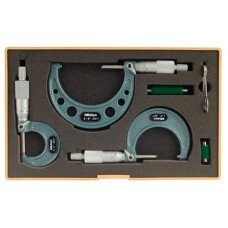 We are a..
103-922 Mitutoyo Outside Micrometer 3 Piece Set 0-3"
The 103-922 Mitutoyo Outside Micrometer 3 Piece Set 0-3" is on sale at Gaging.com! 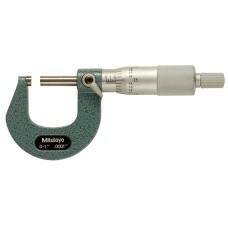 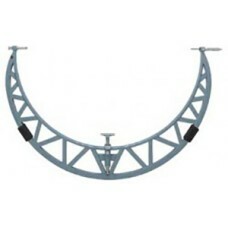 We are authori..
105-428 Mitutoyo Outside Micrometer with Extension Anvil Collars, 40-44"
The 105-428 Mitutoyo Outside Micrometer with Extension Anvil Collars, 40-44" is on sale at Gaging.co..
105-429 Mitutoyo Outside Micrometer with Extension Anvil Collars, 44-48"
The 105-429 Mitutoyo Outside Micrometer with Extension Anvil Collars, 44-48" is on sale at Gaging.co..
105-430 Mitutoyo Outside Micrometer with Extension Anvil Collars, 48-52"
The 105-430 Mitutoyo Outside Micrometer with Extension Anvil Collars, 48-52" is on sale at Gaging.co..
105-431 Mitutoyo Outside Micrometer with Extension Anvil Collars, 52-56"
The 105-431 Mitutoyo Outside Micrometer with Extension Anvil Collars, 52-56" is on sale at Gaging.co..
105-432 Mitutoyo Outside Micrometer with Extension Anvil Collars, 56-60"
The 105-432 Mitutoyo Outside Micrometer with Extension Anvil Collars, 56-60" is on sale at Gaging.co..
105-433 Mitutoyo Outside Micrometer with Extension Anvil Collars, 60-64"
The 105-433 Mitutoyo Outside Micrometer with Extension Anvil Collars, 60-64" is on sale at Gaging.co..
105-434 Mitutoyo Outside Micrometer with Extension Anvil Collars, 64-68"
The 105-434 Mitutoyo Outside Micrometer with Extension Anvil Collars, 64-68" is on sale at Gaging.co..
105-435 Mitutoyo Outside Micrometer with Extension Anvil Collars, 68-72"
The 105-435 Mitutoyo Outside Micrometer with Extension Anvil Collars, 68-72" is on sale at Gaging.co..
105-436 Mitutoyo Outside Micrometer with Extension Anvil Collars, 72-76"
The 105-436 Mitutoyo Outside Micrometer with Extension Anvil Collars, 72-76" is on sale at Gaging.co..
105-437 Mitutoyo Outside Micrometer with Extension Anvil Collars, 76-80"
The 105-437 Mitutoyo Outside Micrometer with Extension Anvil Collars, 76-80" is on sale at Gaging.co..